Invisible Passenger Airbag (IPAB) door system must be designed with a weakened area such that the airbag will break through the Instrument Panel (IP) in the intended manner, with no flying debris at any temperature. At the same time, there must be no cracking or sharp edges at the head impact test (ECE 21.01). Needless to say, Head impact test must keep pace with the deployment test. 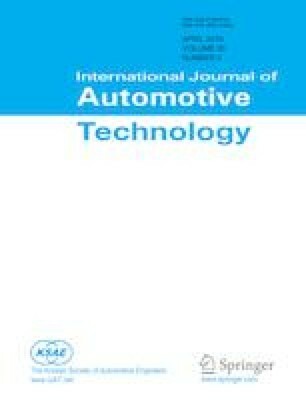 In this paper, we suggested soft airbag door system that is integrally molded with a hard instrument panel by using Two-shot molding. First of all, we set up the design parameters of IPAB door for the optimal deployment and head impact performance by CAE analysis. And then we optimized the open-close time at each gate of the mold so that the soft and hard material could be integrally molded with the intended boundary. We could make the boundary of two materials more constant by controlling the open-close time of each gate with resin temperature sensor.